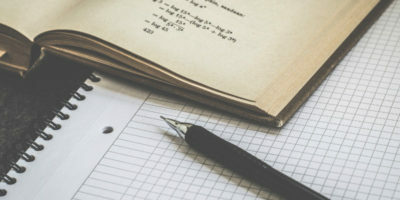 If your daily schedule revolves around tasks and project management, you probably have heard or used Microsoft Project, the world’s most popular project management software developed and sold by Microsoft. This program is designed to assist project managers in developing schedules, assigning resources to tasks, analyzing workloads, tracking progress, and managing the budget. While Microsoft Project excels at organizing work and people to make sure projects are completed on time, *.MPP files are susceptible to corruption which can lead to data loss. Corruption can occur in various ways. Maybe the file was created by a buggy software that wrote the file incorrectly. Sometimes a computer virus can also damage the file. Should this happen, you’ll need a professional program such as Recovery Toolbox for Project to recover the files. If a Microsoft Project .mpp file is corrupted, you’re likely to encounter one or more of these symptoms. The file causes the project viewer to crash. At times you may encounter frequent “program not responding” errors. If the damages are minor, you may be able to view partial content. Some sections and content may disappear completely. 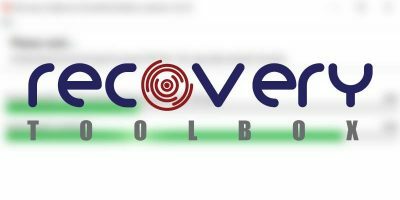 We tested Recovery Toolbox for Project to see how good it is at recovering data from corrupt Microsoft Project files to write this review of the program. 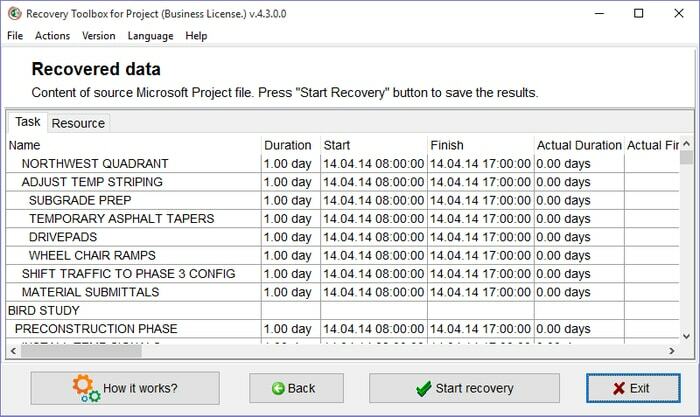 Recovery Toolbox for Project is a specialized program that helps to analyze, repair and restore data from corrupted Microsoft Project files. All Microsoft Office programs, as well as other major project management software, come with built-in repair tools that help to troubleshoot and repair program files in the event of file corruption. Unfortunately, Microsoft Project comes with no built-in data recovery features. 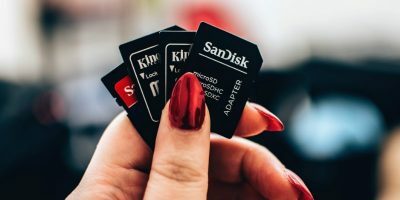 This puts users in a tough spot of having to rely on third-party applications to recover data from corrupted .mpp files. 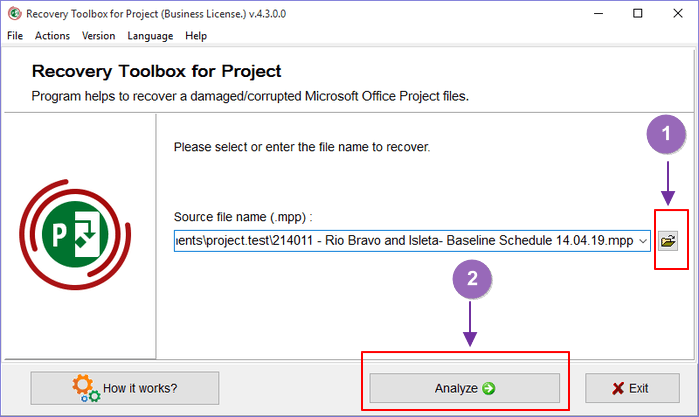 Recovery Toolbox for Project addresses this issue by providing a simple, yet reliable, means of recovering data from damaged Microsoft Project files. The product features are mentioned below. Supports repair and recovery of data created from all versions of Microsoft Project, including project 2000, 2003, 2007, 2010, 2013, etc. The program is compatible and has successfully been tested under all versions of Windows from Windows 98 through Windows 10. To get started, head over to the company’s official page and download the program. Double-click the .exe file, and follow the simple installation wizard to install the application. Once the download and installation are completed, the program will launch, and you’ll be able to see its clean interface as shown in the screenshot below. If you don’t want to go through the download and installation process, or maybe you don’t regularly use Microsoft Project, you may not need to buy a lifetime license. In such cases the Online Project File Recovery Service might be the better option. 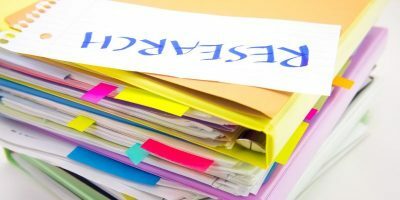 With the Online File Repair Service you get the same feature pack, but you’ll need to pay a small fee for each recovery. To open a Microsoft Project file, you’ll need a specialized software such as MPP Viewer, Project Viewer 365, Free Viewer, etc. As mentioned earlier, one of the symptoms of a corrupted MPP file is that it will not open but will display an error message instead. 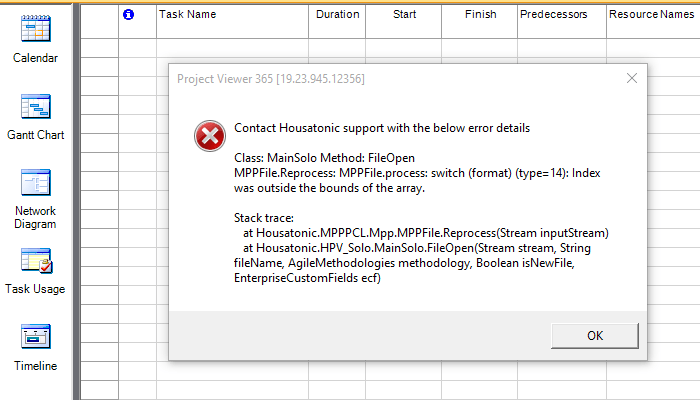 In my case I tried to open a corrupted .mpp file using Project Viewer 365, and the program displayed the error shown below. We’ll repair this file with Recovery Toolbox for Project. Find the procedure to follow below. 2. Click on the folder-like icon to select the file you want to repair. 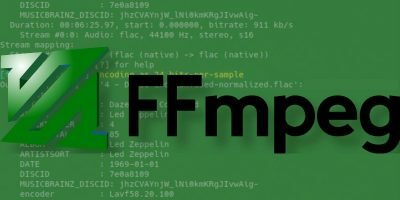 Your chosen file should have an .mpp extension. 3. Click the “Analyze” button, then click “Yes” on the dialogue box that will pop up to start the recovery process. The program will begin analyzing your file. You’ll be able to see the progress bar as the software scans your file for errors. 4. The program will display a preview of the recovery results. This is what was recovered in my .mpp file. 5. Click the “Start Recovery” button to save the results. The program will save your recovered file to a new file and display a summary of the recovery results. The following are the pricing plans the company offers. With this plan you get a lifetime license for non-commercial use of the software. The business license bestows the right to use the software in a corporate setup or in governmental institutions. With this license you can use the software on multiple devices (up to 100 electronic devices), either in one building or distributed across multiple buildings. 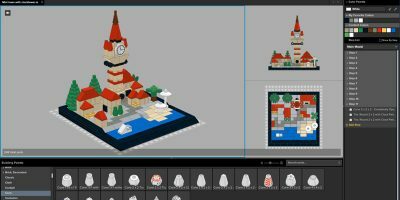 You get the same features as the software, and it costs just $10 per file. The following are the pros and cons we found with the software. 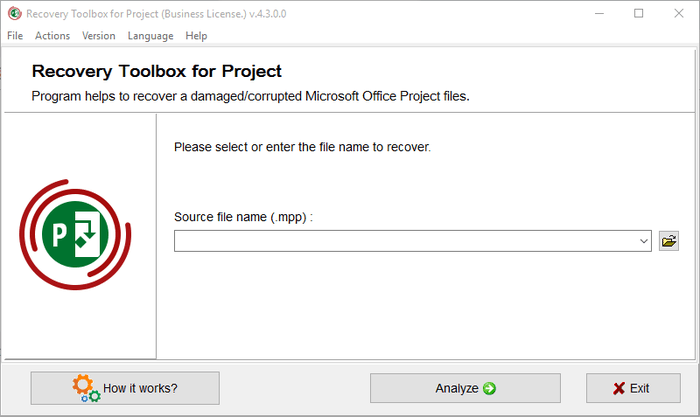 Recovery Toolbox for Project is a great tool to have if you work with MPP files all the time. It does a stellar job at recovering data from severely damaged Microsoft Project files with high accuracy. 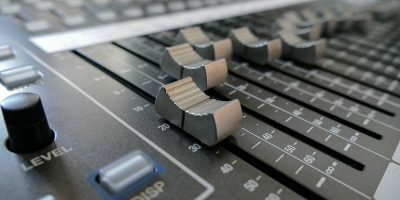 Moreover, it’s fast, simple to use and doesn’t go hard on system resources. 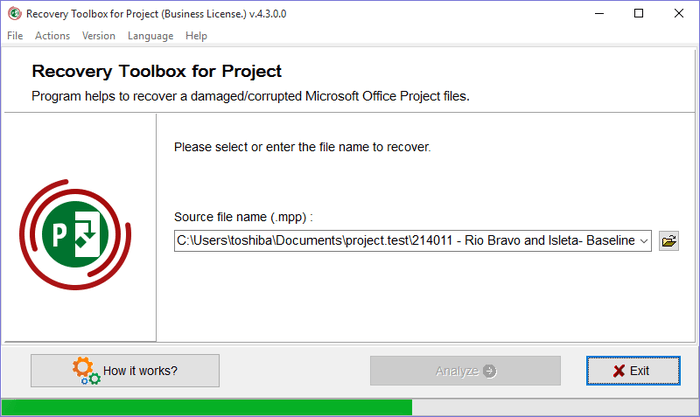 Having tested this program on Windows 10, I’d recommend it to anyone looking for reliable software to repair corrupted Microsoft Project files.